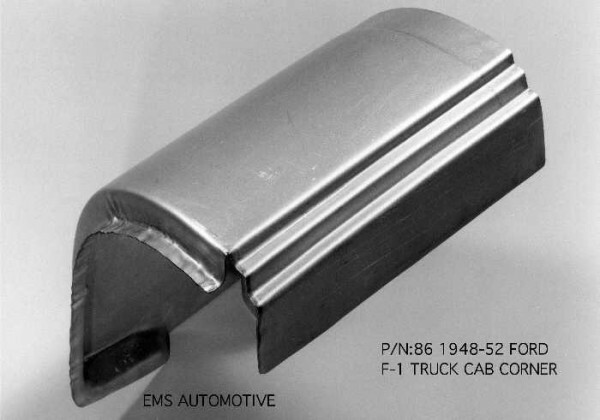 Applications: 1948-52 FORD F-1 TRUCK AND F-2 TO F-6 BIG TRUCK CABS. REPAIRS THE LOWER REAR CAB CORNER, BEHIND THE DOOR. 18 GAGE STEEL, USA MADE.